If there’s one thing you should know about me when it comes to beauty, it’s that I like to keep it simple. I’m not great at makeup and honestly my every day life doesn’t always allow for me to have a lengthy makeup routine. But when we travel or vacation, I generally feel like I need to have some kind of routine so that I don’t look terribly tired or washed out in photos. 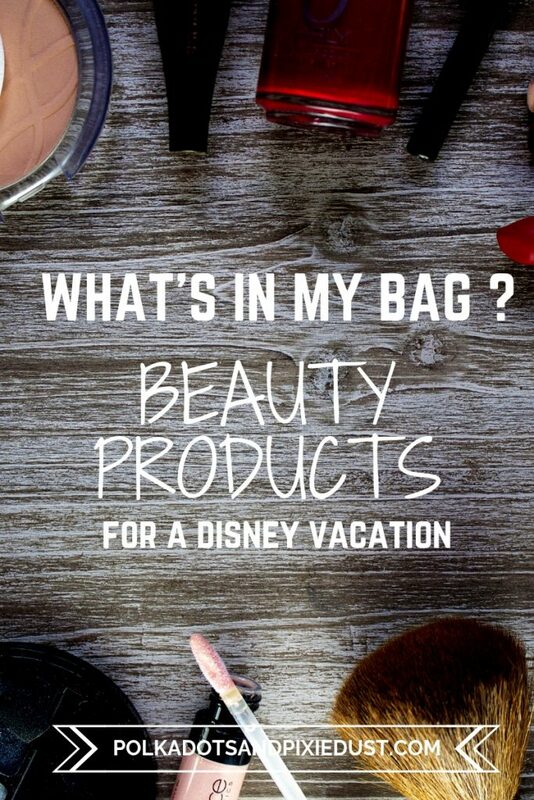 We did a blog post earlier this year about beauty products we thought did a great job standing up to Florida heat and humidity, specifically for summer. 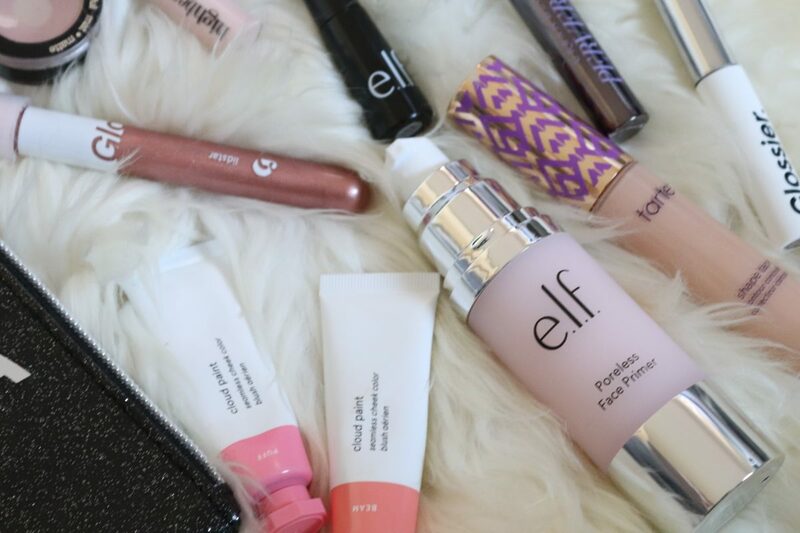 But we wanted to add our tried and true beauty products that we love for every day use as well. So here is our What’s in Our Makeup Bag-the basics.I’m going to preface this by saying, I don’t use foundation or BB or CC cream on a regular basis. I do have a friend that swears by this one, but I prefer as little product on my face as possible, when possible so I skip this altogether. I like this one because it’s super inexpensive and honestly this does the job for me when it comes to mattifying any shine I might have. I usually just use a very little bit and it does the trick. I also like this one but it is more expensive and gets me about the same results, so this is just a matter of preference. 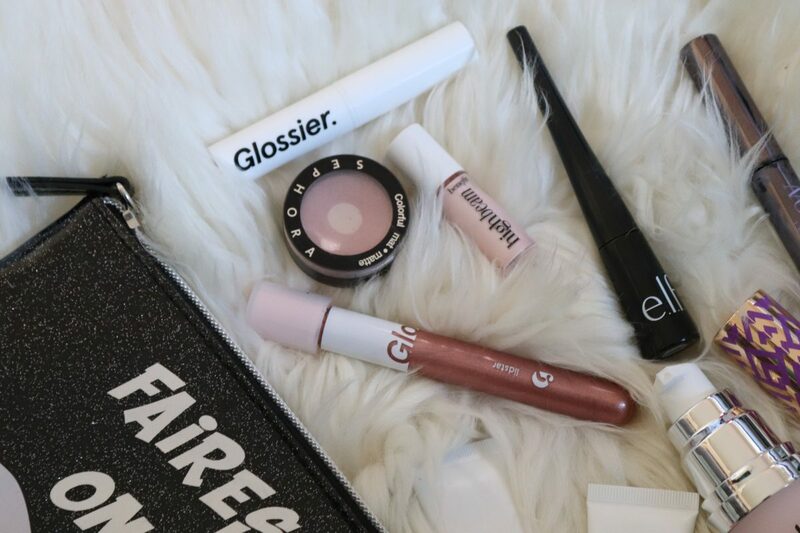 I’ve recently fallen in love with Glossier products(you’ll see more in this list) and there’s a good reason why. It’s simple and easy to use. Boy Brow is no different. It’s buildable and easy to use. So if you’re a bit nervous about totally messing up your brows, this is the product for you. It won’t give you those “Instagram brows” but it will help define, shape and tame your current eyebrows. I am lucky enough that I didn’t get sucked into the 90s trend of overplucked eyebrows, but if you did and are still recovering, you may actually want something more like this, which will give you a bit more body. If there is one product I cannot leave my house without, it’s this one. I don’t get enough sleep(bad I know) and Shape Tape keeps me from looking like a zombie all day. Its pretty full coverage and a little goes a long way, so don’t let the price tag scare you. It lasts all day and does a great job hiding those under eye circles and imperfections. For everyday use, I like to keep it pretty simple. I don’t see a lot of need for a full palette unless you’re having portraits or close ups done. I generally like to pick and choose a couple of colors from Sephora’s collection and I love these because they are small and you can choose as many or as few colors as you like. 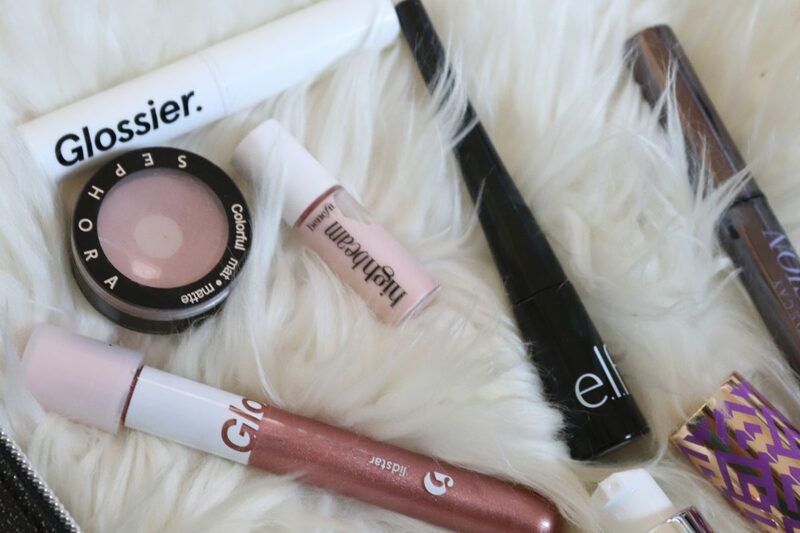 For a bit of shimmer, I also love LidStar from Glossier and I love that it can be worn alone or layered with other colors. So I have to admit, I was not a believer when I saw the hype about this product. But now that I’ve tried several colors, I absolutely love it. It’s buildable so you can make it as light or as bold as you want and you can blend colors to find your perfect shade. I use Puff and Beam for a subtle, soft look. Ok, ok, this may not be the first eyeliner you think of when you think of long lasting but I’m going to be honest here. I have tried a lot of eyeliners and unless you are willing to drop even more money on an eye primer as well as a good setting spray, I don’t personally find it to be worth it to purchase an expensive eye liner. I have yet to find one that lives up to my expectations. This one is not bad, but to me, if I’m paying that much for eyeliner, it should stay pigmented and in place without all the other products required. Just my two cents. Mascara is another product that I just feel like I really need to look more “awake”. This one is the best I’ve found for myself, so far. 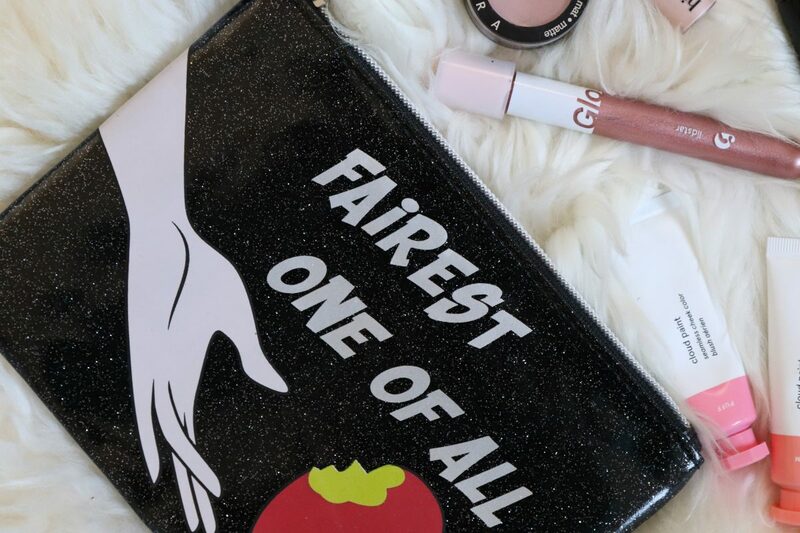 And let’s be honest, sometimes if you’re really focusing on lots of photos, and you haven’t been gifted with long, luscious lashes, you may be better off using falsies. I prefer wispies for more natural look, but there are lots to choose from depending on your style and look that you’re going for. And last but not least, lip color. 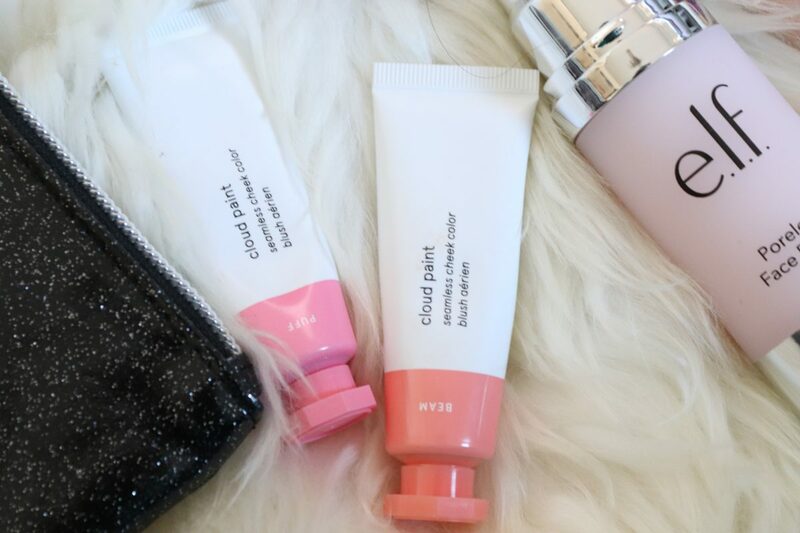 Another Glossier product, I prefer using this to other lipsticks because honestly, they are a bit more subdued. Again, these are what I consider basic products and if I’m just heading to the Parks, I generally want a more casual look and these do the trick. They are sheer matte, so not too pigmented and easy to apply. Also, they’re not too messy, which is something I often struggle with when wearing lip color in the crazy Florida humidity. I’m currently using Leo for a more neutral color and Jam for a pop of color. So there you have it! 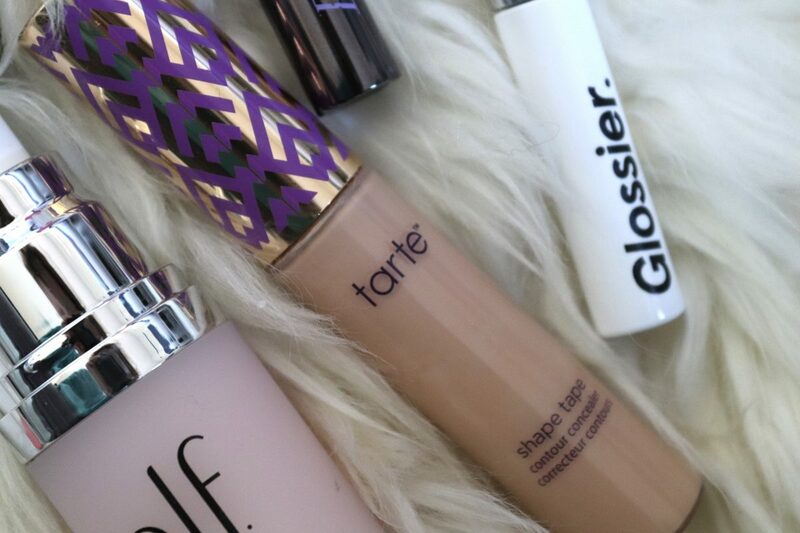 Our beauty basics. 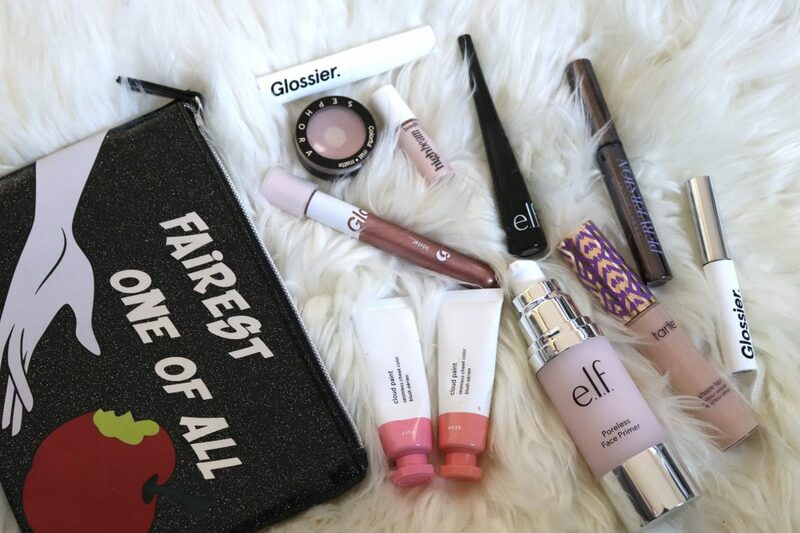 Hopefully this post has helped you find some new beauty products to love or add to your basic makeup routine!